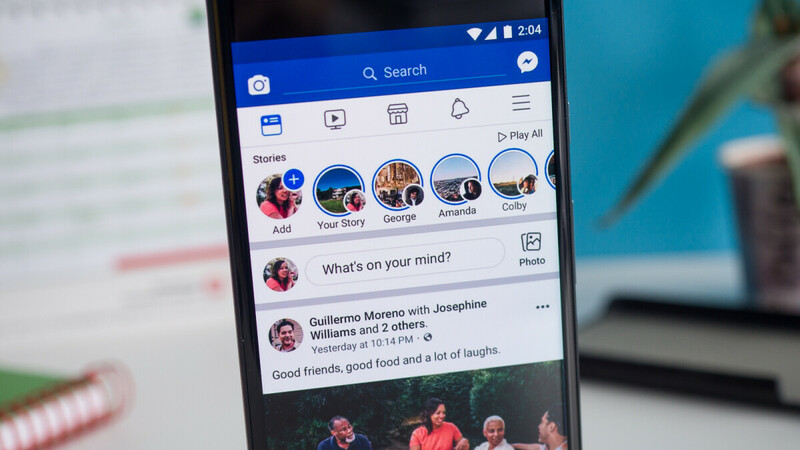 It's been more than three months since Facebook promised to bring a new feature to its social network app that will allow users to check how much time they're spending on the app. Luckily, if you've been anxious to see how the feature works, you won't have to wait too long now because Facebook is now rolling out “Your Time on Facebook” globally, TechCrunch reports. The feature has been specifically designed to help with Facebook addiction, but also to enable users to better manage their social networking. 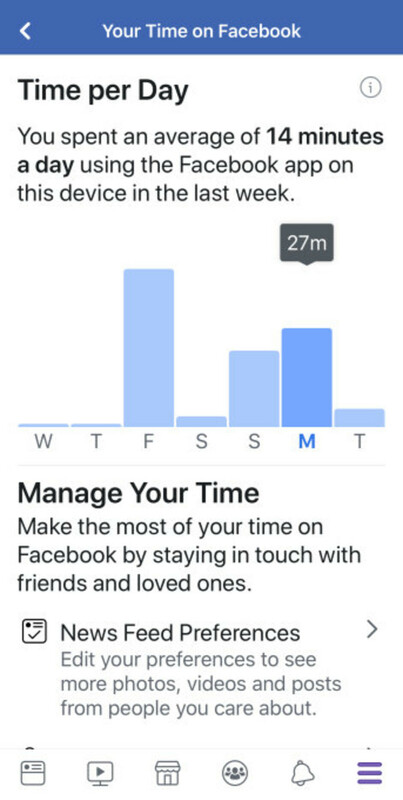 The new “Your Time on Facebook” feature shows you how many minutes you've spent browsing through the Facebook app each day for the past week, but it also gives you the average. But the feature goes beyond counting the time spent on Facebook and allows users to set daily limits and gives them access to shortcuts to notifications, News Feed and Friend Request settings. You'll receive reminders to stop using Facebook when your daily limit is achieved. You'll find the “Your Time on Facebook” feature in the app's More tab / Setting & Privacy. Keep in mind that this is a staged roll-out, which means not everyone will get it at the same time. Time is not the biggest problem when you use Facebook for prolonged periods. The biggest problem is... "Envy". Whenever I open Facebook (Which is not very often), I just can't help but compare my life to my compadres'! By the look of things; they're having fantastic lives with boating, golfing, fishing and having dinners in expensive restaurants with their selfie ready wives whereas I... Not so much! I'm very comfortable with who I am and what I've accomplished... I'm nothing and I've admitted a long time ago that I'm just an ordinary man without a goal or purpose and life is always about survival for me from that point onward. Meaningless survival! But that doesn't mean I've to loathe myself and feel pity and grumpy all the time! I'm not a very spiritual person but... I think that's how lord intended me to be, assuming there's one... So... No Facebook for this old man! And that also explains why I'm a hearty, cheerful old fellow! I've come to terms with me existence! G'Day! thats a big problem with alot of people, social media encourages depression, but its the users fault. i dont understand where this idea came that you have to compare your life to others. most people lie on social media anyway. Sadly Problem is also that i don't even know how the outside society world is like in develop countries and nation and what trends and news going on in develop nations among peers and people of that country.Never use social media to compare urself with others unless peoples have satisfactorly has achieve everything in life what wanted or needed even tinest thing in the world.Nope people don't lie on social media they are not foolish themselves to make their life more miserable. Yo wassup greenman,i thought u left PA or have stop commenting.Seriously u know what i saw u here as one of the sensible,educated person around here because u add new phrase,words,meaning to comment section while other people i see only talk crap baseless arguments disagreeing with the actual reality in mobile market apple creating itself with unlawful acts.Bro u need to find ur passion what u like doing in life and having fun with that work if u enjoy what u doing and living with it.I'm also facing same problem but unlike u i'm struggling to make that work become my success as my job in that career field.I'm still young than u but now almost reach preadulthood stage.My problem is time if i able to change myself around the work in time and gather enough skill in time.Envy needed to go away by finding your like minded friends and people stay happy with them.Bro just stop thinking like that u r not that person it's what make u become that person in you. Thanks for the kind words, Nimbus! I'm glad someone here can not only tolerate my rantings, but even appreciate them! I may not be as wise, or tech savvy as most people here; being an old timer and all that but I think I know a thing or two about life! Here, I just wrote my recipe of happiness, hoping someone might benefit from it someday, that's all. G'Day, mate!